The first real opportunity to tap into the power of the Green Vision Coalition was when the Orange County Transportation Authority (OCTA) was proposing a renewal of its ½-cent transportation sales tax measure. The Coalition appointed four individuals to negotiate a comprehensive mitigation package within the measure. The Authority agreed to the concept and included a mitigation package in the November 2006 ballot measure. Nearly $245 million was available for acquisition, restoration, and management to mitigate the impacts of 13 freeway projects in the measure. By the election, more than 30 groups from the Green Vision Coalition created a sub-coalition called the Environmental Coalition that Supported Renewed Measure M.
The Measure was approved with 69.7% of the vote and thus the work began creating Orange County’s first comprehensive transportation mitigation program. Renewed Measure M (M2) now includes a comprehensive vision of mitigating impacts to landscapes, habitats, ecosystem function, and sustainability. Renewed Measure M pools those project impacts and pools the money to mitigate them so that larger scale mitigation is not only possible, but is also required. In 2008, an Environmental Oversight Committee was formed to oversee the Environmental Mitigation Program. FHBP’s Consultant and Green Vision Coordinator, Melanie Schlotterbeck, has served as the Committee’s Vice Chair since the first meeting and represents the Environmental Coalition. 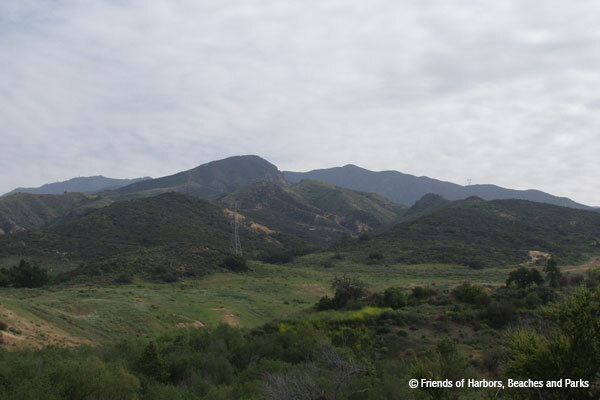 To date, OCTA has spent funds acquiring seven Preserves totaling 1,300 acres and has committed funding to 400 acres of restoration projects. In 2016, OCTA completed its Natural Community Conservation Plan and Habitat Conservation Plan for the mitigation lands. Future steps include setting up a non-wasting endowment to permanently fund the management of the natural lands and finalizing the Resource Management Plans for each Preserve. View the Environmental Mitigation Program Resource Page for more information.